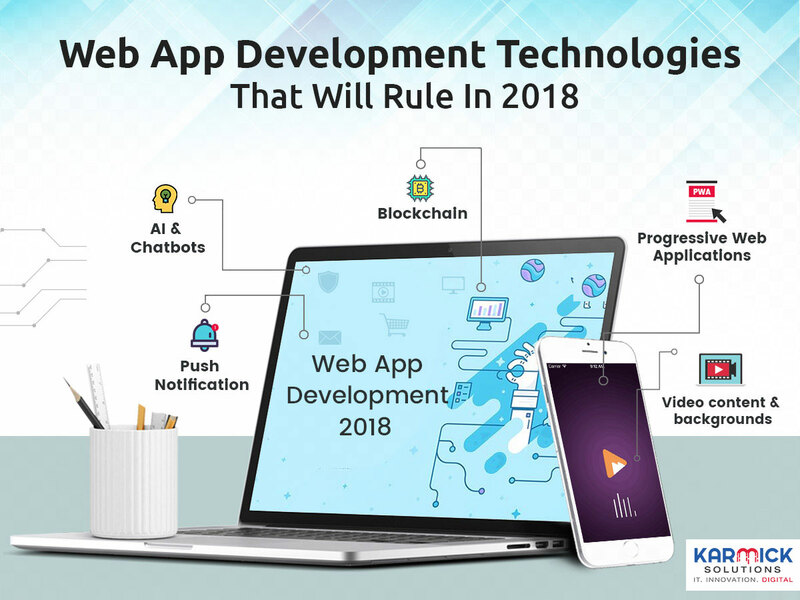 The web app development field is probably one of the most dynamic fields right now with new technologies being discovered every day. In fact, the pace at which the scenario keeps changing is faster than anything expected. Rather than rest on laurels of achievements made yesterday, companies that want to stay competitive and profitable would do good to embrace the changing technologies of today. The new trends enable companies to greatly leverage their online presence. According to some surveys, as many as 77% of web development agencies identify below average website UX as a major weakness. E-commerce is a very strong trend. More and more people are adopting online shopping with every passing day. On a yearly basis, the online sales market grows by a factor of 20 percent. The market that yielded $2.3 trillion in 2017 will yield as much as $4 trillion by 2020. According to the statistics site Bigcommerce, 51% of US citizens buy online products. 56% of online stores have a physical store as well. According to HubSpot, 47% of visitors to a website first check out the products or the services page. 38% of visitors get turned off by stale or unattractive content. Chatbots make the job of e-commerce developers easy as they program websites to have helpful assistance. It helps users order tickets, food with just one click of a button. It is estimated that as much as 85% of all interaction online by 2020 will not involve any humans at all. Chatbots based on AI can understand colloquial speech and they are constantly learning. As an example, eBay uses a chatbot for all its Facebook interactions. Progressive web applications were first introduced to us in 2015. In 2016, we met the pioneers who gave us PWA. In 2018, PWAs are expected to give stiff competition to native mobile apps. PWAs are websites that are very similar to native mobile apps. PWAs can work offline which substantially enhances user experience. If users are using a PWA frequently, they can save the shortcut. Since most of the information is stored in the cache, the website loads very fast. Service workers that operate in the background always ensure that the App remains updated. As already discussed, the ability to work offline is by far one of the biggest advantages of PWAs. PWAs are being increasingly adopted by some of the leading companies in the world. After Flipkart launched the PWA version of its website, the number of time visitors spent on the site tripled and there was a 70% increase in conversions. After the launch of the PWA of the Washington Post, a five-fold increase in user engagement was reported. Since iOS does not support service workers, PWAs have fewer features on the Apple platform. The UX of PWAs has played a pivotal role in their popularity. Though the technology may be very new, its future looks very promising indeed. Push notification is one of the most powerful tools at the disposal of a mobile app. It is very helpful to directly interact with a user who adds value to a company. As a result, push notifications are utilized in a whole host of activities such as sales notifications, sports scores, traffic changes etc. This leads to higher engagement of the customer without the additional cost incurred of building a website or an app. The blockchain is the most effective way to collect and store data. Computers all over the world store data and this data is completely decentralized. Blockchain leads to very high security. One of the biggest advantages is that the transactions do not have any intermediaries. Every transaction is verified and is based upon complex algorithms. This is in addition to a large number of computers that are involved in the process. Even as we speak, multinational banks are contemplating incorporating the security features of blockchain into their day-to-day operations. This is one of the most interesting platforms that has gained a huge following. It enables businesses to present their products and services to their target customers in a much more engaging and enriching way. It is considered a very powerful tool to increase conversion. In fact, video content can increase sales by more than 20 percentage points according to some statistics. Video content is expected to explode to have a universal appeal by 2020. According to some statistics, video marketing can boost CTR by as much as 200%-300%. It can increase purchase intent by as much as 97%. In fact, the market is being flooded with HD video content today. Live videos are said to engage customers by a factor of 300% more than ordinary videos.